Goa music is in full force again, and you thought your wishes were fulfilled? Enter Morphic Resonance aka Christian Fernandez. This 28-year-old genius from Girona, Spain, is about to flip your references big time with his debut album, “The City Of Moons”! Morphic Resonance has been deeply influenced by the sound of Etnica/Pleiadians, Shidapu, Tim Schuldt, UX, Fitleria, and he mainly works with an analog gear. His live performances are known for ramming the dancefloors with relentless rhythmic work, crazy acid lines and stunning melodies. The album starts with “Psychedelic Hell” which showcases Morphic’s excellence with acid lines. “In The Mouth Of Madness” is a wicked piece of music which board you on a mad rollercoaster propelled by acid lines and electric guitar! “The City Of Moons” starts the sci-fi part of the album, where synths are screaming an avalanche of melodies. Then “Bad Dreamer” kicks your lower end massively in its first part, before providing a free acid shower!If you haven’t called an ambulance yet, you may well with “Chronos” and “Procyon”, two tracks full of killer melodies and massive climaxes, sending you back to the epic Pleiadians times! 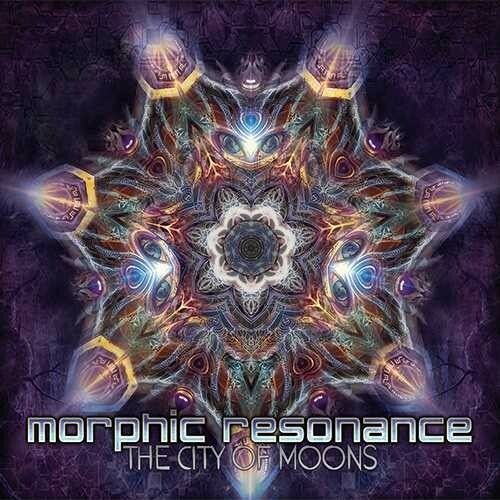 Moving on, “Mindwarp” sends you a blast from the past with a Shidapu-influenced track.Morphic Resonance is also known in parties for his fantastic remixes and he delivers here his ritual closing track, a remix of SUN Project’s Space Dwarfs…on acid…and on steroids. Hold your breath, we’re going to space with this one! The summer is at our door, yeah, and square waves are all-out war! Enjoy “The City Of Moons”! This album is crystal-clear mastered by Tim Schuldt!